Square and Folk Dancing, by Henry L. Greene. Published by New York: Harper & Row; Toronto: Fitzhenry & Whiteside, 1984. Piano arrangements of square dance music by Vincent Maffei. 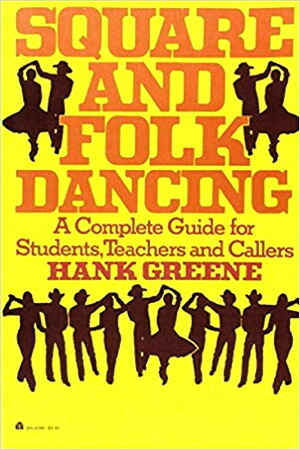 This folk/square dance instruction and teaching book uses a teaching progression of folk dances following Lidster and Tamburini's Folk Dance Progressions, going from simple to complex and grouping dances by step patterns. This approach is sound but sacrifices ethnic styling for simplicity in learning. Dance selection reflects dances popular in the 1960s, and dance step terminology follows the physical education literature rather than the recreational international folk dance literature. The square dance notation, also sound, follows Don Armstrong's 1973 Caller/Teacher Manual for Contras. The addition of lyrics and music for singing calls is a welcome change from the usual square dance literature.